Facial hair transplant or beard restoration is an increasingly popular procedure among men, who opt for this procedure to add density and fullness to their beards. Facial hair transplant can be used successfully in patients with sparse facial hair or to cover scars, burns or to solve patchiness problems that are the result of genetics or scarring. Facial hair transplant includes beard transplant, moustache transplant, goatee transplant and even sideburns transplant. Some men experience baldness issues, while other men are unhappy with the density of their beards, which in many cultures is a sign of masculinity and prestige. Luckily, facial hair transplant has evolved to the point where density issues can be easily solved with the help of a minimally invasive transplant procedure. How does facial hair transplant work? Just like in the case of regular hair transplant, hair is harvested from a stable zone area at the back or sides of the head. A beard transplant usually requires finer hair, which is harvested predominantly from the areas at the sides of the head. In cases when patients are completely bald, it’s also possible to harvest chest hair and use it to cover patchy areas in the beard. The actual procedure used for this type of hair transplant is Follicular Unit Extraction (FUE), which is the same procedure used for regular hair transplant. It’s a minimally invasive procedure, albeit a very meticulous one as hair follicles are harvested and implanted one-by-one. A beard restoration procedure can take up between three and nine hours, depending on the required density. The time of the procedure also varies depending on the area that’s being treated. A full beard may require 4,000 hairs, while a goatee only 1,500 hairs. 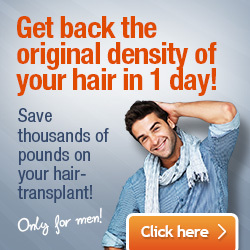 Hair transplants are a walk-in walk-out procedure, and beard transplant is no different either. A local anaesthetic is administered to numb the areas in the beard that will undergo hair transplant. Once the surgeon establishes the donor area, the harvesting of the hair follicles commences. 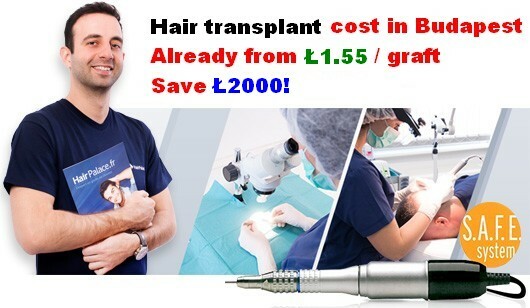 This is carried out with a pen-shaped needle that cuts around the hair follicle with a punching action. The FUE procedure is non-scarring, and it allows the placement of the hair follicles in angles that both follow natural hair growth patterns and achieve the best density possible. And what’s more: at an affordable cost! What results to expect from beard restoration? FUE facial hair transplant is a permanent procedure that produces natural-looking results in a non-scarring way. The healing time is also very short, and results are visible immediately after the procedure. Full results are typically expected within a few months following the procedure, when hair growth will begin and continue to grow just like in other parts of the beard, goatee or moustache. Immediately after the procedure, patients may experience redness and swelling, both of which will subside within a few days. Unlike hair transplanted to the head, beard transplant doesn’t require the same level of extra care and attention, and aftercare measures are usually handled much better by patients. The healing period usually last only 5 to 7 days, during which patients are advised to rest and keep the treated areas dry and avoid exposure to dust, dirt, or anything that could cause infections. The usual risks associated with regular hair transplant may appear even in the case of facial hair transplant, if aftercare measures are not observed.